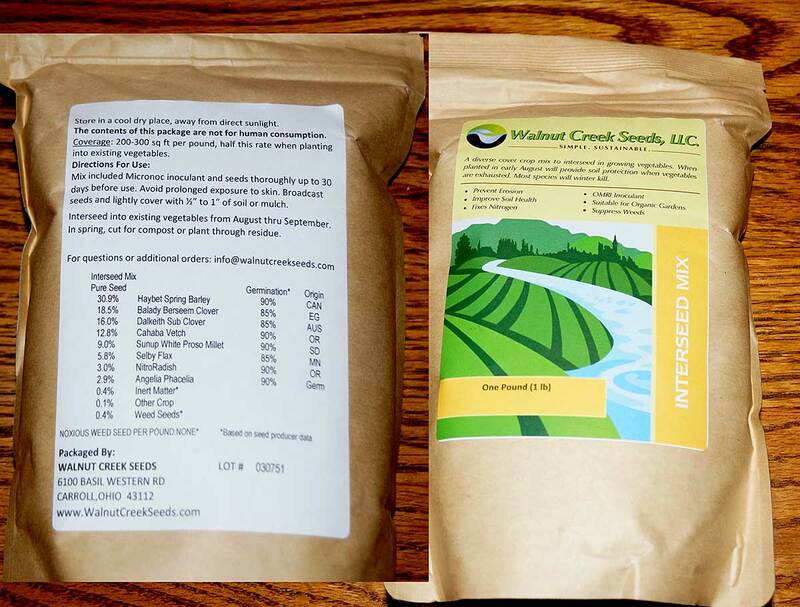 One of the new ways of farming and gardening is to use cover crops to improve the soil structure and nutrients, instead of the traditional tilling and chemical fertilizers. Here’s a free book on the benefits of using cover crops on a farm. I’m going to try and bring some of these concepts to the home garden. 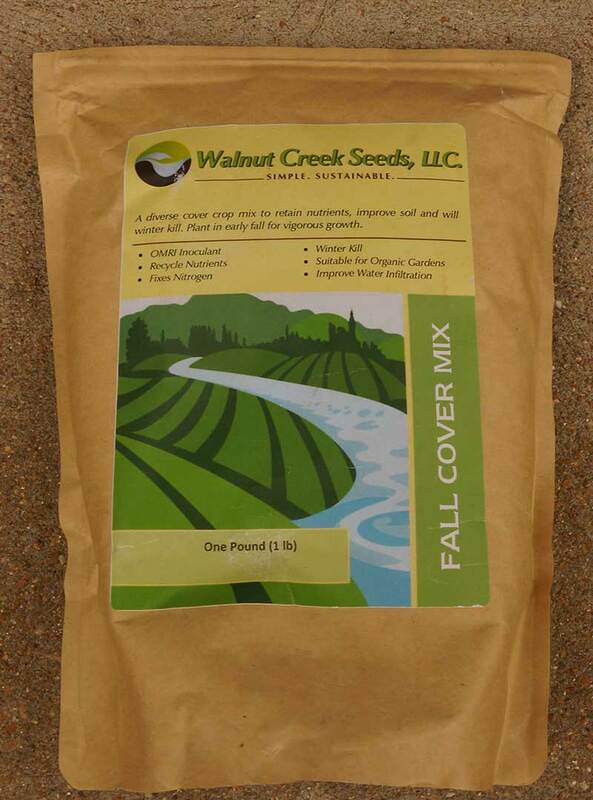 Here’s another great source of Cover Crop Information from the USDA. I decided to try this on a test area that I use mainly for tropical milkweed. It’s one of the few areas in my yard that is open enough to plant extra seed. 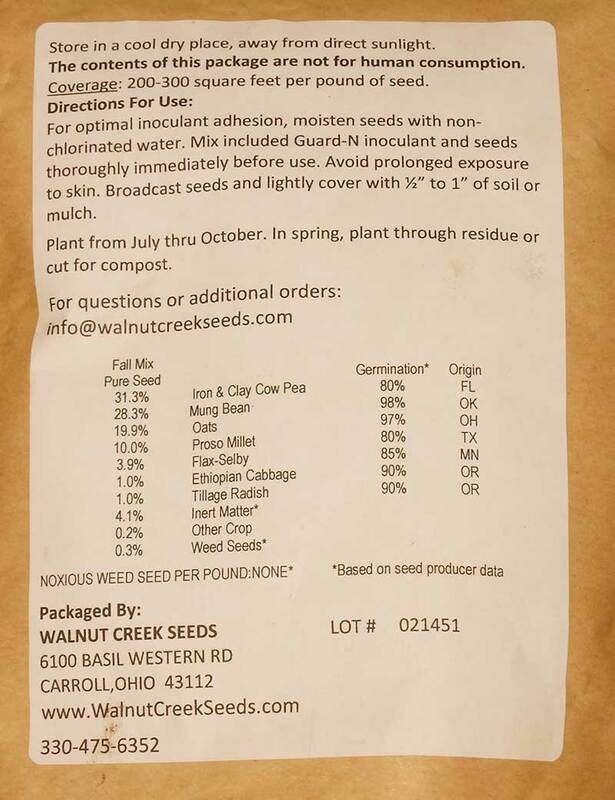 March 16th I planted the Interseed Mix from Walnut Creek Seeds. I used half the packet and will reserve half in case the first seeding does poorly. I will later on plant my milkweed and hope all the crops will co-exist. Below is what the cover crop looks like on April 27th. I next used my trimmer and cut most of plants down to a couple inches high so that I could plant my milkweed. I’m not sure how much the cover crop will recover. You can see from the picture below that the cover crop came back dramatically and is growing faster than my milkweed in some places. Angelia Phacelia – pretty flower – dead by July 1st. Barley – gets large and turning brown around July 1st. I would not plant this again – too much maintenance. Radish – fast grower and tall – cut it down about June 1st. Crimson Clover – doesn’t seem to have deep roots. Needs a fair amount of water to keep it going by itself. Try annual ryegrass in the fall. Crimson Clover – planted in the fall. Legumes add Nitrogen, but they have to be inoculated – most come pre-inoculated. Crimson clover – his favorite cover crop – usually winter kills, makes a lot of Nitrogen.- earthworms love it – easy to kill. Radish tops scavenge more nitrogen than the tubers – don’t throw this away. Leave on the soil? http://plantcovercrops.com/ – articles are old. I’ve got a few plants I’m trying to divide Sept. 13th. One plant became seven. We’ll see how they do this late in the season. Anise Hyssop – Can I cut off a piece and root it by sticking it in the ground? Answer – Yes – but keep it well watered. If I pick the seed green, will it ripen and open the seed easily. Seeds seem to ripen best on the plant. If you have to cut green seeds out – pitch them. Gairailladia – Blanket Flower If I take seed off the plant and cover it with dirt – will it germinate immediately? Answer – NO – all seeds have a period of dormancy. 2. I also cut plants to the ground in Mid-august. They are now coming back and blooming low to the ground. Is it better to just dead-head it or cut it back to the ground? Aug 25 – took out zinnias in front and transplanted in VB, tropical milkweed, buddleia, blazing star, purple french hollyhock, milkweed cuttings. Also transplanted four echinacea from test bed – these are seeds I planted last fall. Buterfly Bush – C – need to cut quite a bit off. Will Zinnia Seeds from this years plants germinate? Results: Yes! I saved some seeds from this years crop – usually it takes months for these seeds to be ready to plant, but these germinated easily.